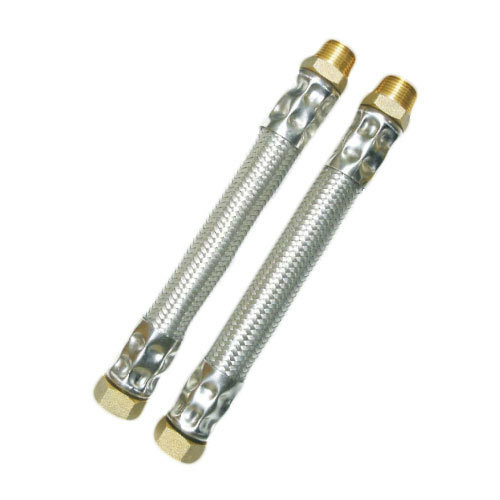 We have carved a niche amongst the most trusted names in this business, engaged in offering a comprehensive range of Facolex Fan Coil Connector. Thermal growth, overloading, metal fatigue, noise, excessive installation time and early maintenance problems can be significantly reduced or avoided with Tozen\'s flexible connectors and expansion joints. BLISS FLOW SYSTEMS is a diversified supplier of engineering products to Chemical, Petrochemical, Oil & Gas, Marine, Off-Shore Platform, Power Generation, Water and Waste Water industries, etc. We distribute the process equipment’s like Pressure & Temperature Gauges, Switches, Transmitters, Magnetic Level Gauges with Transmitters, Flow Nozzles, Ball, Butterfly, Gate , Globe and Check Valves, Solenoid Valves, Pneumatic and Electric Actuated Valves, Flow Control Valves, Pressure & Temperature Relief Valves, Pressure Reducing Valves, Steam Traps, Air Traps, Condensate Pumps, Strainers, Needle Valves, DBB Valves, Mono Flange Valves, Foam Pigs and Pigging Systems, Exd Enclosures, Axial Flow Fans and Heat Exchangers. We also involve in Process Engineering Design & Analysis and manufacturing of Electric Control Panels.